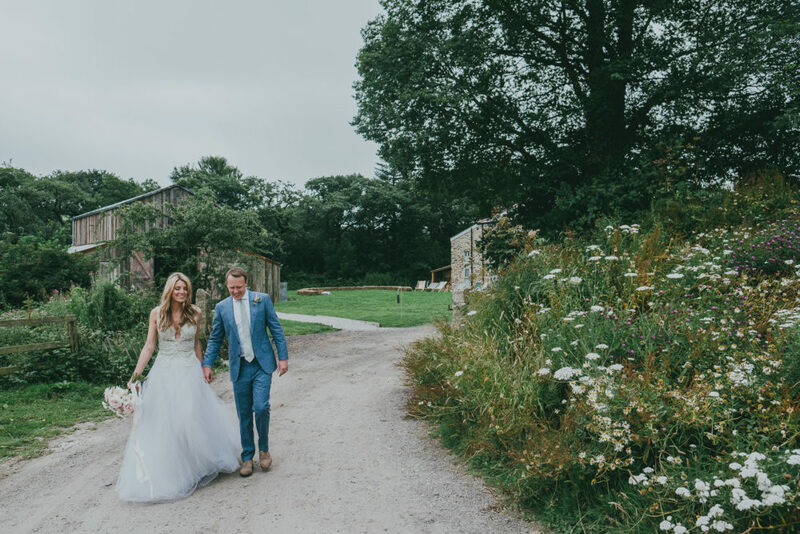 With romantic pastel blooms, a stunning bespoke Jane Bourvis gown and adorable flower girls in white dresses, this Nancarrow Farm wedding is going to be right up your street. Amy and Luke fell for Nancarrow immediately, it’s rustic decor and incredibly secluded location won them over straight away. That was even before they’d tried the food, which was the cherry on top of a beautifully iced cake. Amy & Luke: After much deliberation over the location for our wedding, I am from London and Luke is from Yorkshire, we were keen to find neutral ground to celebrate our big day. With many fond memories from years spent holidaying in the South West we eventually settled on Cornwall. Next step was to find a venue, somewhere that would allow us to create a day that really felt like our own, we were keen to steer away from the ‘cookie cutter’ wedding, ultimately we wanted our guests to feel relaxed and to provide them with some really decent food and drink in a beautiful Cornish setting. This proved a little harder than expected and having spent far too long searching every corner of the internet we turned to friend, Ellen, who came across Nancarrow Farm in no time at all. Within a week we had booked a viewing and within 2 minutes of arriving at the farm and stepping into the farmhouse kitchen, we knew we’d found the perfect venue for us. From that moment on the Nancarrow team were brilliant at guiding us through the whole process, Steve, Heather & Eavan were always on hand to offer advice without ever being too pushy. The highlight for us was working with Darren Broom & Jackson Bristow to create a truly bespoke menu for both the wedding breakfast and the BBQ the following day. I can’t express just how many people commented on just how good the food was on the day and I can say hand on heart that it was one of the best meals I have ever had. Having chosen the venue we decided to make a weekend of it with Pints & Pasties in the Driftwood Spars garden on the Friday pre-wedding and a BBQ at Nancarrow in the rustic barn on the Sunday with vintage games on the lawn and wood fired Beef and lamb kebabs. Typically the list of ‘to-do’s’ grows and grows and I experienced a slight sense of panic when I realised the enormity of the task at hand. One of the best things we did to help ease the pressure was use Google Sheets, the ‘wedding planner’ template was brilliant at helping us budget and remind us of all of the ‘added extras’ we needed to consider. When deciding upon the appropriate clothing for the day, we wanted to keep things fairly chilled. Luke decided upon a lightweight blue summer suit with a green tie from Suit Supply with his Groomsmen in lighter blue suits with pink ties. I proved to be a little more difficult in the fashion department and having been to multiple wedding dress shops I still hadn’t found ‘the one’. Again one of my bridesmaids stepped in here and recommended Jane Bourvis, a vintage bridal atelier who works with antique wedding dresses and materials to create your perfect dress. Jane showed me a range of fabrics, old and new, and as soon as I saw the amazing light green embellished lace she had sourced from India I knew it had to be incorporated into my dress in some way or other. Working with Jane we decided to use the lace for the top half of the dress which was then paired with an vintage ivory tulle skirt. Jane is a true artist, and was absolute pleasure to go through the process with. For the bridesmaids I wanted to make sure they were comfortable in whatever they wore on the day, I really didn’t want to impose something on them. That being said I was extremely lucky as they are all incredibly laid back, even my heavily pregnant sister who travelled all the way to Cornwall with her due date just 2 days after the wedding. As a group we decided on a pale green boho style flowy dress from ASOS with my sister in a slightly different style from their maternity range. They all looked absolutely beautiful. Ruby Alice) our florist was fantastic, she really understood what we were looking for in terms of the overall look and feel for the day, we wanted to keep everything quite rustic, using the farm as inspiration, lots of greenery with muted pinks and ivories. The garlands, flower installation in the barns combined with the props, such as the vintage bike, were the real icing on the cake. We kept the ceremony itself very simple, opting for a shorter service held in the rustic barn with 2 readings from my Mum and our friend Raife, the readings were quite light hearted and even administered a laugh or two. Reading 1: Mum – Guess How Much I Love You – by Sam McBratney. Reading 2: Friend (Raife) – Be My Homer – by CJ Munn. For the entertainment we had had local acoustic blues singer, Tom Dale recommended by Nancarrow & Swamp Cats who we found on Alive Network. Tom played post the ceremony and really set the scene in the courtyard prior to the wedding breakfast creating the perfect atmosphere. The Swamp Cats were the evening entertainment, they had brilliant energy and really got the crowd going, we’ve had so many people comment on just how good they were since the wedding! 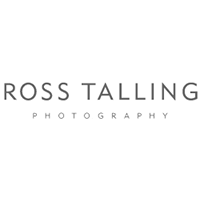 To top it all off the day was captured by THE MOST incredible photographer, Ross Talling. Ross was recommended by Nancarrow and we couldn’t have been any happier with the results. The natural, unobtrusive photos really gave us a sense of the day from a different perspective and we love the images that focussed on the small details such as Luke’s wedding speech and the close-ups of the flowers, menus & invitations.